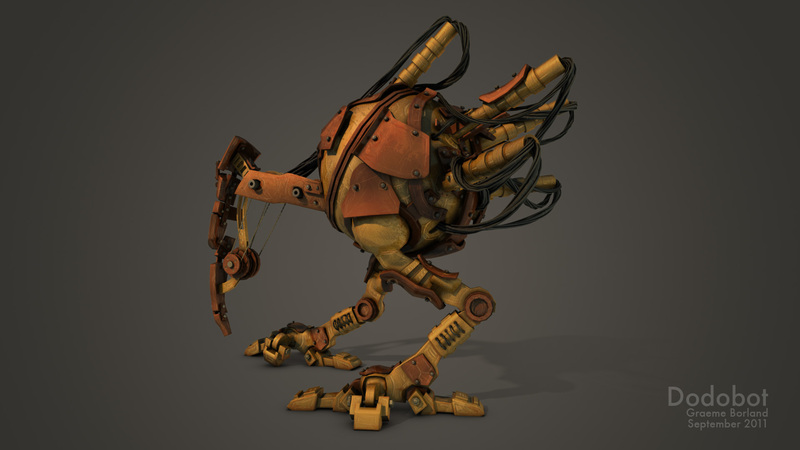 Dodobot is a robot concept design, created in Maya 2012 and Photoshop CS5. It combines a high detail 3D model with Photoshop matte painting techniques. The goal was to quickly move from a rough silhouetted sketch to a finished piece of concept art.